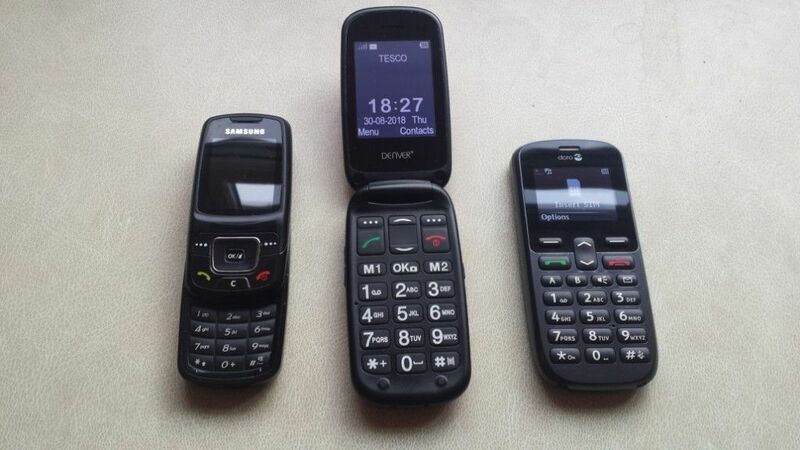 Big screen with large fonts- These phones are having big screen with big buttons and very useful for seniors with eyesight problems or reading small texts on normal phones. Big button phones have big buttons which helps in easy typing. Volume control– In this kind of phone you cannot only control your incoming call volume but also the ringer volume and can be adjusted well and loud so that seniors can hear it well. It becomes loud enough so that it can be easily adapted by seniors with hearing problems. Supports 3G network- These days big button phones support 3G network as well. Earlier they used to only support 2G network. 3G networks provide better internet and better calling networks. Big buttons functionality- it is very easy to type with big buttons rather than typing with small buttons or typing on touch screens. So Big button phones are invented in such a way that typing can be done easily with big buttons. Talking keypad- these phones have another amazing feature that is talking keypad. It means that keypad produces sound on punching. Whenever you press any button on keypad, it produces sound. FM Radio- another additional feature is a radio station. Every age group is very fond of radio. It is seen that especially old age people are even more attracted towards radio. So big button phones provide feature of FM radio as well. Camera- you can also click pictures with this phone. It does not have the selfie camera but it surely provides the back camera. It is an inbuilt feature of this phone. It helps in taking pictures and making videos. Loud Speaker Function- if one cannot hear properly on phone call then he can put the call on loudspeaker mode. The loudspeaker makes it easy for the person to hear what the person on other side is saying. Also if the call is on loud speaker then more than one person can talk on the call. Easy charging– these phones have good battery backup but every phone needs to get charged at one point or the other. So these phones can be easily charged by just connecting to the charger cable and adapter. Bluetooth– these phones can be easily connected to other phones through Bluetooth. It helps in sharing pictures, videos, music and sometimes applications as well. Bluetooth is a great function as it helps in easy transferability. Flashlight- this feature acts like a torch. One can use this feature while it is dark and no other light options are available. Also one can use this feature for notification. The flashlight fluctuates whenever a call comes. In this way it becomes easier for seniors to know that a call is coming. Quick dial function– this feature helps seniors to call their dear ones on just one click. Rather than going to the contact list and searching for the desired number, they can just speed dial their loved one. You can easily contact loved ones with this phone. These all amazing functions make big button phones way better than normal phones. These are easy to use and provide a variety of features. It caters all the needs of seniors and can be used by people of other age as well.